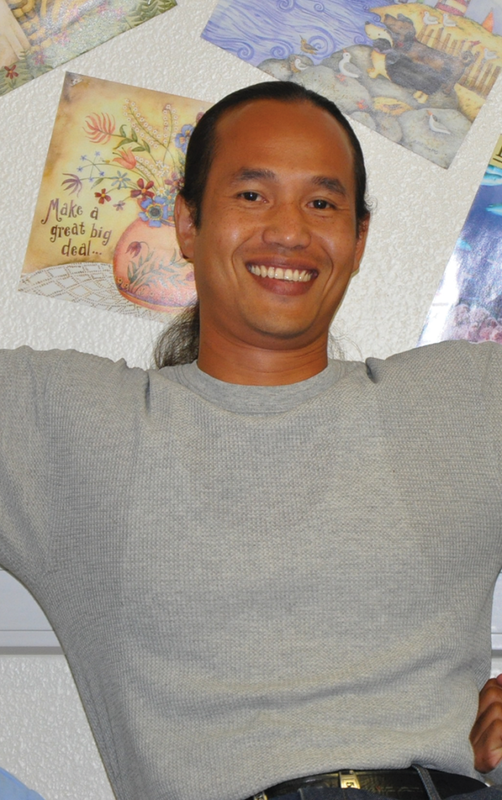 Borey Ai was 14 years old when he shot and killed a storeowner during a 1996 robbery. It made him the youngest juvenile lifer in California’s prisons. When he appeared before parole board commissioners in 2016, they said he was no longer a danger to public safety and recommended his release from prison. Waiting at the gates, however, were Immigration and Customs Enforcement (ICE) agents who took him to a detention facility. Ai said his plans about how he was going to live his life “all went crashing down” when he was put in a “loud, open dog cage.” He said the next 18 months were spent using conflict resolu- tion skills to promote peace among his fellow detainees—skills he learned through San Quentin’s Guiding Rage Into Power (GRIP). Ai and his fellow detainees, some “straight off the streets,” struggled with being separated from their families. Others, including Ai, who was born in a refugee camp, were subject to deportation to countries they never knew. While in detention, GRIP Executive Director Jacques Verduin supported Ai. Ai is currently out on order of supervision by ICE, pending the outcome of his application for pardon. He wears an ankle bracelet. The day Ai was slated for deportation, more than 40,000 letters and postcards were sent to the governor’s office, asking him to stop the deportation. At the hearing the district attorney and victim’s family, who sat directly behind him, spoke about the impact that Ai’s murder had on their family. “It’s great to have him back; He’s very talented as an administrator,” Verduin said, referring to Ai’s work as a GRIP counselor. In the twisting nature of the pardon process, the board recommended that Gov. Brown grant Ai a par- don, which the governor then did. The California Supreme Court was then required to sign off on that decision. The Court, however, rejected Brown’s pardon, making Ai, once again, subject to deportation. In a subsequent phone conversation with Ai, he told San Quentin News that he has not given up fighting against the deportation.